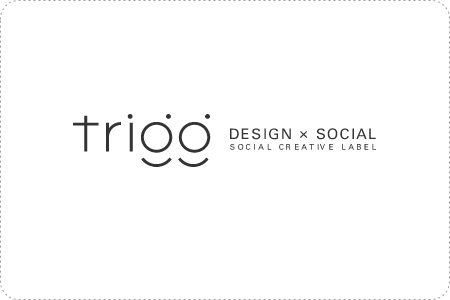 This month, we’d like to introduce the social creative label “trigg“, a Tokyo based project aimed at connecting design to social activities. 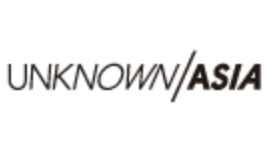 This label was produced and started in 2006 by Kanematsu (Whynotnoticem inc.). 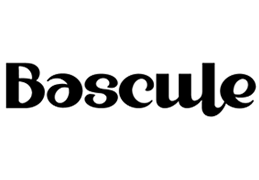 The cute logo was designed by Tomoyuki Arima (tatsdesign). In “Whynotnotice inc.”, we are related to various social issues through the web design of NPOs, such as Shibuya-born regional currency NPO “a href=”http://www.earthdaymoney.org” target=”new”>earthday money“, community-based NPO “BeGood Cafe“, and NPOs that tie design to education “school design net“. We noticed that NPOs that work on community activities have a lot of wonderful contents, but they aren’t able to properly convey their messages. 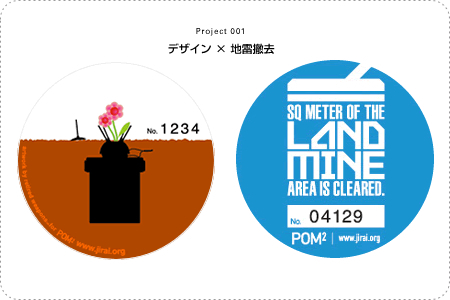 The first project is “design x land-mine removal” ! 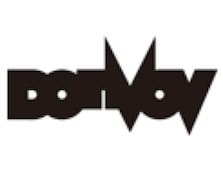 The sticker is sold for 300 yen a piece. 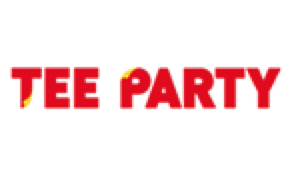 “Retired weapons” and “POWER GRAPHIXX” willingly undertook the design of stickers, and enriched the variation of the sticker for “POM2” which is a group that contributes towards the removal cost of minefield of 1m2 to an NPO in Thailand. The new designed sticker is being sold on the website and event places during “earthday” now. When you say audaciously “in a creative way, in a recognizable shape, and in a flat and open networking, a social creator must be able to change the world” in the statement, I think that it is important to know the possibility of the design to both designers and other people. Various projects are progressing slowly now. 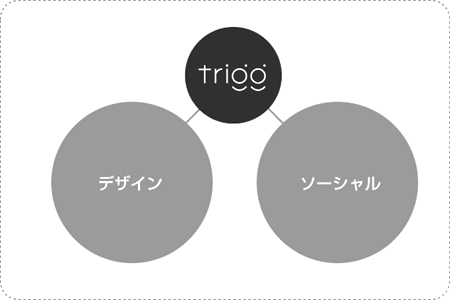 Tokuda (“retired weapons”) said “We rather hope that “trigg” will become unnecessary.” A designer should be able to make the best use of creativity while conscious of the responsibility and the possibility of the organization. 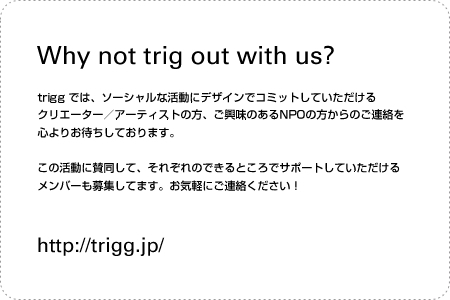 We want to send a suggestive message for it through “trigg”. We are waiting for your cooperation by all means!